Home New York Personal Injury Law Firm New York Car Accident Lawyer Do You Need a Lawyer After a Car Accident? It should not come as a surprise that in a bustling place like New York City, car accidents happen every day. According to official state crash statistics, each year in New York, there is an average of 1,000 deaths, 12,000 hospitalizations, and more than 135,000 emergency room visit. Many more accidents leave only property damage or minor injuries. With such a range of outcomes, it is fair to ask whether you need a personal injury lawyer after a car accident. How serious was the accident? If there are no injuries and there was no property damage, a lawyer may not be necessary. A couple points of caution though. First, if you sign a settlement paper with the other party’s insurance company, you will not be able to bring a claim if it turns out you did suffer an injury. Second, some injuries, like concussions or soft tissue injuries, may be invisible or seem mild just after the accident but worsen with time. Seeing a doctor after the accident can help determine whether you have one of these types of injuries. Navigating the claims or litigation process. Whether on your own or with a lawyer, to obtain compensation after an accident, you will need to communicate with insurance companies, and if a fair settlement cannot be reached, file a lawsuit. Insurance adjusters can be pushy and are eager to settle a claim with as low a payment as possible. The kicker is that if it turns out your injuries are worse than originally understood, the settlement agreement will prevent you from re-opening the claim. To proceed with a lawsuit, you need to be aware of when the statute of limitations runs, how to comply with court rules and state procedures, how to respond to complex legal issues that emerge, and possibly hire experts. Are you ready to tackle these things alone? Personal injury attorneys understand these processes and can explain them to you. Is an attorney worth the cost? In personal injury cases, it is common for attorneys to work on contingency. 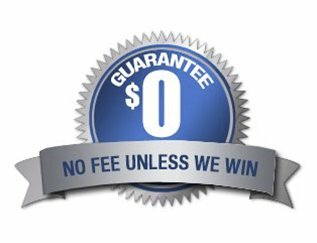 This means they take no fee up front but instead are paid from a percentage of the settlement or verdict. In cases with little or no injury, it may not be worth working with an attorney. But if the injuries are anything other than minor, it makes financial sense to speak with a lawyer. A 2014 Insurance Research Council report found that bodily injury claims negotiated by a lawyer were a significant 3.5 times higher than those negotiated by the claimant alone. A lawyer’s effect on the compensation often more than makes up for any legal fees that are ultimately collected. What can a lawyer do for you? The first thing that come to mind is that a lawyer can take a case to trial, but in reality they do much more. If retained shortly after the accident, he or she can be involved in your conversations with the other party’s insurance company, insulating you from some of its pressure tactics. Your attorney will also handle contact with the other party and his lawyer, and provide guidance on how to document your losses as you navigate your treatment and recovery. Ultimately, your lawyer will take all of the information and package it so that opposing counsel, judge, and jury will understand its worth. Questions to ask a potential lawyer. There are a lot of lawyers out there but not every one is right for your case. Ask questions such as: Have you represented clients with the type of accident and injuries as you have suffered? Are you familiar with the opposing counsel and insurance companies involved? Who on staff will be doing the day-to-day work on the case? How do you utilize experts? What is your fee structure and how are other costs apportioned? Choosing the right personal injury lawyer can take some effort but it is worth the time it takes to choose wisely. 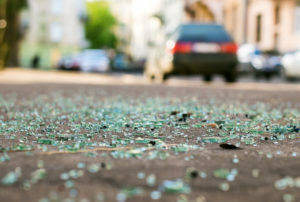 If you have been injured in an accident, speak with a New York City car accident lawyer at Friedman, Levy, Goldfarb & Green to discuss your case. From our Manhattan office, we are committed to protecting the rights of injury victims throughout NYC and including the Bronx, Brooklyn and Long Island. We handle personal injury cases on contingency so we never ask for a fee up front.